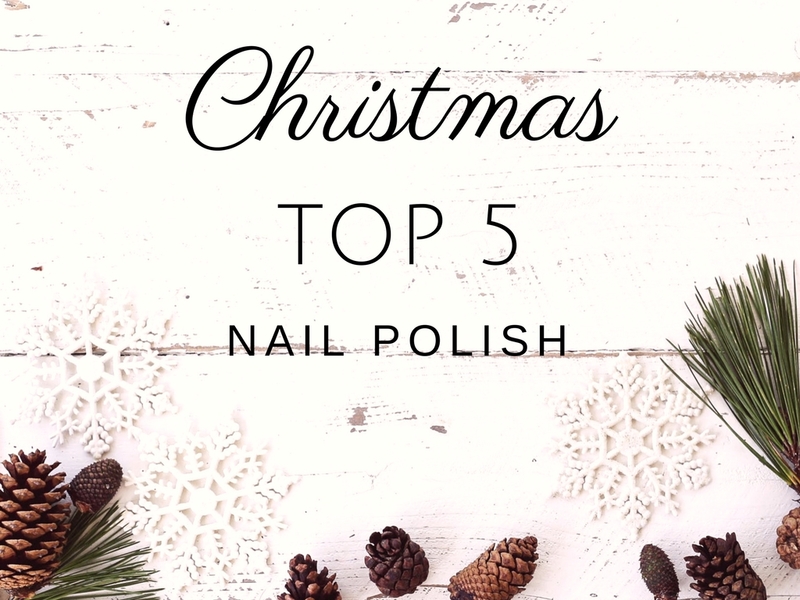 Today’s post is part of a series I’ve started this past Fall, The Top5 Nail Polishes and Lipsticks for the season, I will also so a Winter one later on but I tought since party nails are so fun I didn’t want to miss tho occasion to share my favourites. A few informations, some of the colour I chose were limited edition from previous years, because I tend to use these shades only during the Holiday season, but every year these brands usually come out with similar products, they are the classics. Second, for those shades that are limired edition I’ll do my best to find dupes, they might not be identical, but I’ll try to find the closest ones and lastly, three of these nail polishes are top coats so they work better over other colours. As always, I want to know which shade is your favourite, even if it’s not part of my haul, a girl always want to expand her collection! My daughter is a big fan of nail polish and different top coats. This is always makes a wonderful gift anytime of year. Rimmel and Essence makes such nice polishes, and what I love even more is the low price 😀 Both of their formulas perform great on my nails. Any “red” has me hooked. It’s such a classic holiday color! Thanks for sharing your top 5! I am loving that gold leaf. I have soo many different nail polish colors. I need to get to work on these nails. I love the color Essence Let’s Take an Elfie! It’s what I have on now! 😉 such a cute name too! I’m loving these nail polish colors! 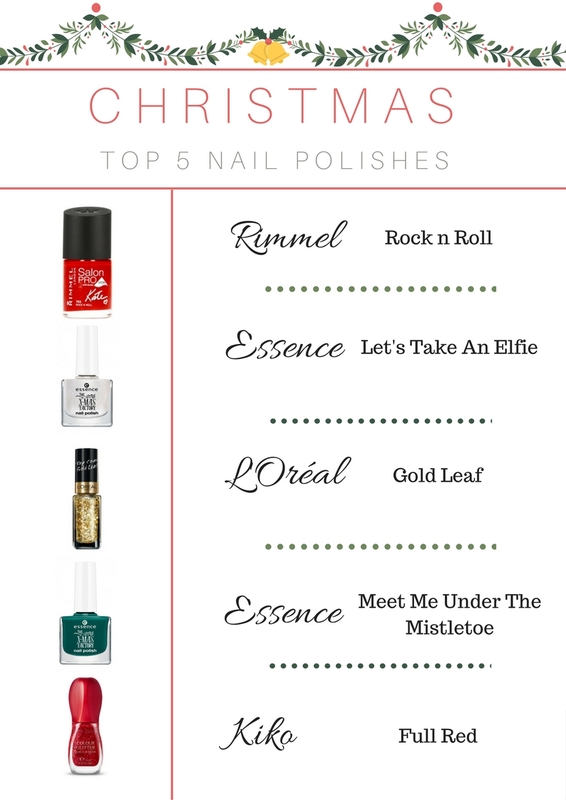 How fun are the names of these polishes! I am loving the green Mistletoe option!!! This is so creative and fun! Great idea! You can do something like this for every holiday. These are great colours– I especially love the glittery gold and sparkly red ones! Love the Kiko full red! So gorgeous!! Such good suggestions! Love the festive colors!